Based in Greystones, Co. Wicklow, Lotus Landscape Design provide a complete garden and landscaping service for domestic and commercial clients in North Wicklow and South County Dublin including Enniskerry, Rathmichael and Killiney. Established by Vyvian White, a landscape designer with a BSc in Horticulture from Reading University, we will take care of your garden project from the initial design to the completed project. 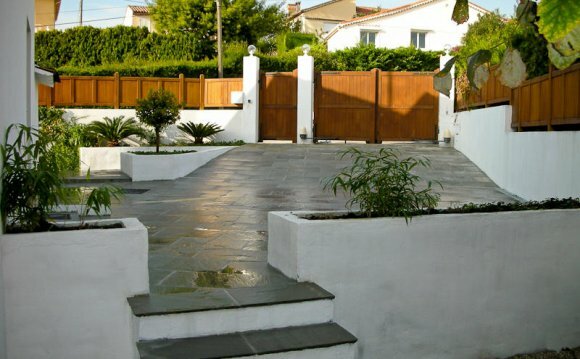 Recently returned home to Ireland from the south of France where he has run a successful landscaping business for the last ten years, Vyvian White specialises in creating beautiful outdoor spaces you can enjoy and be proud of. As a horticulturist, planting is one of my favourite jobs and I'm a stickler for selecting plants that will work well for your soil conditions and life style. .
Vyvian is happy to visit your home or premises to measure and quote. This service is free of charge and can be arranged at a time convenient to you. We would be happy to discuss your project in detail. Call us today for a free, no obligation site survey and quote.